This is a translated verse from Mu’in Bseiso’ “Three Walls of the Torture Chamber”. He was -and remains – one of Gaza’s most influential intellectual and renowned poets. Bseiso died in some London hotel in 1984. One of his older plays carrying this verse envisaging his death. Every phase of Bseiso’s literary work carried clues to the struggle faced by Palestinians throughout their modern history, which he echoed in his poems until his passing. His words spoke of resistance, love, torture chambers and naked walls, children coloring on a beach, exile … oh, the endless exile. But Resistance featured prominently in almost everything he wrote. And gaze at my lips as they halt the madness of the wind. I have not died … I am still calling you from beyond my wounds. The spirit of Gaza is the spirit of Mu’in Bseiso: beautiful, poetic, tortured, strong, undying, and loving and although confined by ever-shrinking spaces, always resisting. I am writing this, not only as a nod of gratitude to Gaza’s great poet for the way he influenced me and several generations of Palestinian and Arab intellectuals in Gaza and elsewhere, but to denote a fact that seems to escape many of us: Gaza is also an abode of poetry. Alas, how many of us can name a single Palestinian poet from Gaza? Likely, very few. It is because we are accustomed to affiliating Gaza with death, not life. Poetry is the greatest intellectual affirmation of life because great poets never die. Their verses linger like the roots of an ancient Palestinian olive tree. 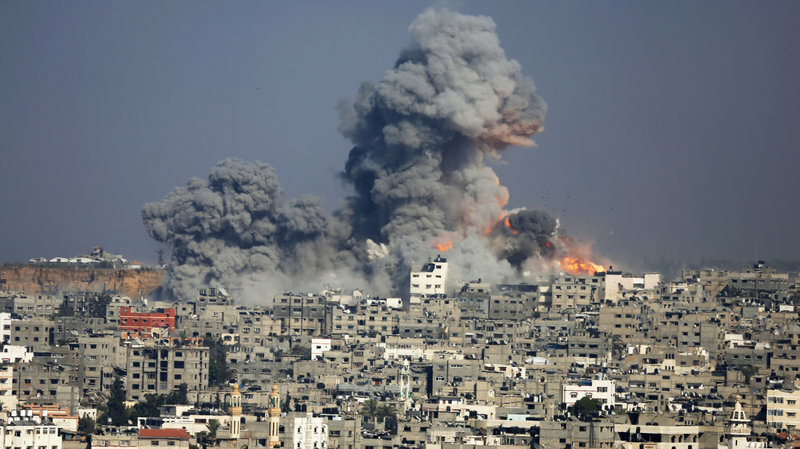 Gaza has not inspired the world because of its high death toll as a result of Israeli wars, because of its polluted water or because it is becoming growingly ‘uninhabitable’ – as a United Nations report recently indicated. Gaza is inspiring because it is still standing, despite everything. Not just standing, but living and – dare I say – thriving, too. Reporting from Gaza last week, Yousef Aljamal wrote of a similar crowd that flocked the Science and Cultural Center in Al-Nuseirat Refugee Camp. The reason they gathered was to celebrate the life and works of William Shakespeare. After a few passionate speeches about the great English poet, the audience watched an animation film of King Lear, composed and performed by the Refugee Camp’s youth. “Dr. Abdallah Kurraz, Professor of English Literature at Al-Azhar University, highlighted Shakespeare’s ability ‘to use language and discuss universal themes such as freedom and equality,” wrote Aljamal. Yousef Aljamal lives in Al-Nuseirat Refugee Camp. His family suffered irreversible losses from war and siege. His brother, Omar, was killed by the Israeli army in 2004. He was a Resistance fighter. The family named one of their newborn children, Omar – to carry on the legacy of their eldest son. A few years later, in 2007, Yousef’s sister, Zeinab, died because of the Israeli siege on the impoverished Strip. “Poison started to spread in her body through the veins. Her skin turned yellow, literally. I was shocked as I saw yellow invading her body when I went to visit her at al-Aqsa Martyrs Hospital in Deir al-Balah.” Soon after, Zeinab died. But Yousef, 27, has an unsubdued energy for life. He is a reporter, a translator, a scholar, and a community organizer. He has helped translate and edit several books on Gaza and written many articles from the Strip. While much of his work is, rightly, dedicated to the suffering of Palestinians there as a result of Israel’s wars and protracted siege, a large portion of his work is also a testament to the resilient spirit of Gazans. Yousef, like most Gazans, refuses to see himself as a victim. But can the rest of us understand that? Helping an American organization raise funds to host the Rachel Corrie Ramadan Soccer Tournament in Gaza, I shared a press release on social media, urging supporters to donate. To highlight Israel’s human rights violations, some feed into that narrative which almost refuses to see Gazans as strong, dignified human beings, creative, loving, living and resisting. True, the wars have devastated Gaza and the siege is severely diminishing its ability to develop the massive and promising human capital it has. But it has not disfigured its essence, or lessened its humanity. Gaza remains a place of poets, artists, dabka dancers and untamable spirits of utterly resilient and refreshingly stubborn people.